Follow these steps for proper wound cleaning. Before you run for the bandage, take a few minutes to carefully clean your wound. You’ll thank yourself later, as this not only facilitates healing, but can also prevent infections and other complications. Always remember that your doctor knows best, so make sure to consult with your medical physician for proper guidelines and care if you have any questions about wound care. Never touch wounds without washing and drying your hands thoroughly. Unwashed hands may carry germs, bacteria and dirt that could potentially cause an infection. Double down on safety by wearing disposable gloves if you have them. When cuts or scrapes fail to stop bleeding on their own, apply gentle pressure with a clean bandage or cloth and elevate the wound until it stops. Skip this step for burn wounds or injuries that aren’t bleeding. 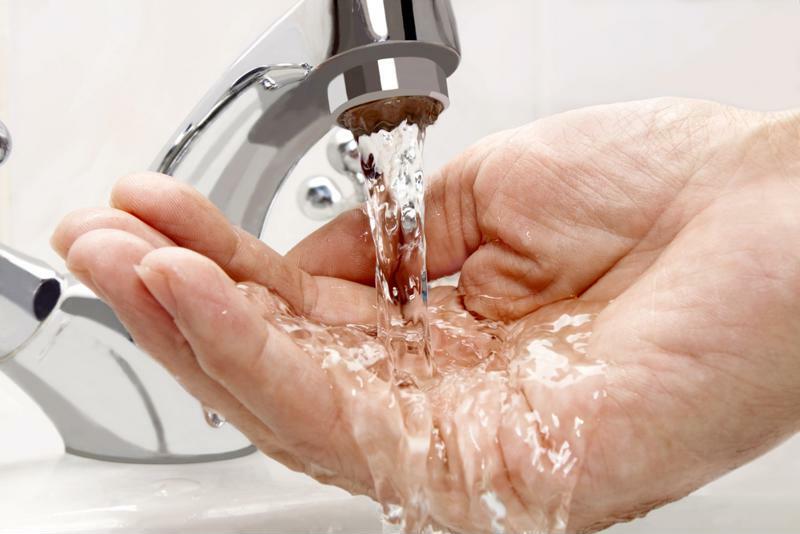 Use freshly washed hands and clean water for safe wound cleaning. Run clean water over the wound to loosen the skin and remove initial layers of debris. The U.K. National Health Service recommended rinsing for roughly five to 10 minutes. If you have a burn, refrain from using ice cold water, instead keeping it at a cool temperature. Cleanse the surrounding skin with mild soap, gently dabbing or swiping with a gauze pad or soft wash cloth. Avoid getting soap in the wound, and refrain from using hydrogen peroxide or iodine because they can irritate the damaged skin, as advised by the Mayo Clinic. Clean a pair of tweezers with alcohol, and then use them to remove any dirt and debris still present in the wound bed. If you can’t remove everything, see your doctor for help. Use a clean cloth to gently pat the skin dry. Don’t use a cotton ball or swab, as pieces of the material may get stuck inside the wound. Antibiotic ointments and creams help wounded skin maintain a healthy moisture balance, as well as prevent infection. This step is not always necessary depending on the severity or type of wound, so follow your doctor’s advice for your specific treatment. Now fresh and clean, the wound is ready for a sterile dressing to keep it protected from the outside world. Minor cuts and scrapes, however, can often be left uncovered. Proper wound cleansing requires the right supplies, especially for more severe injuries that need frequent dressing changes. Advanced Tissue offers smart delivery of those wound care products, conveniently packaged in single-dose portions with easy-to-follow video instructions. Learn more about smartPAC today. Please note: blog posts are rarely updated after the original post. Because the medical industry is ever changing; please make certain to reference the current product list as well as up-to-date industry information when considering product selection or treatment. Always consult a physician to discuss specific concerns or questions related to your health. What is regenerative medicine and how can it promote wound healing? What is a venous skin ulcer? What happens when your stitches get infected? If you can’t find what you’re looking for, don’t hesitate to contact us right away. Send your requests to us by email at info@advtis.com or call 866-217-9900.